How Do Guys Buy Condoms? Varun Thakur Says Like THIS! Many of us girls are guilty of never actually having bought a condom from the pharmacy. The risk of being stuck in a totally awkward situation or being seen by some uncle or aunty we know is just too high. Which is why we mostly leave it to our guys to do this. But have you ever wondered what it's like for them? 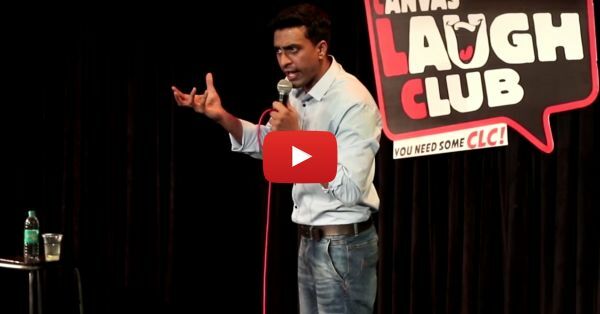 Well, Varun Thakur spills the beans in this hilarious performance that's ALL about pharmacies. Yes, he talks about all the weird synonyms and the flavors too! PLUS: Subscribe to POPxo on YouTube for original videos + our favourite videos from around the web! .be&t=4m46s MUST-READ: The “Stupidest Things” Guys Do… This Is A MUST Watch For Girls! MUST-READ: These Girls Make Buying Condoms In India Seem So… EASY! !